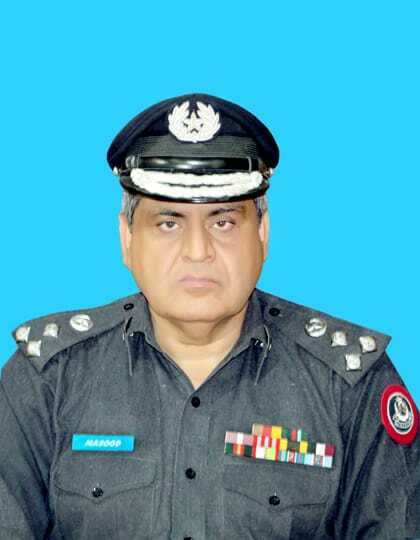 Alhamdulillah, with the grace of Almighty Allah and under the dynamic leadership of the present Police Chief, Mr. Salahuddin Mehsood, the PTC Hangu has now come out of the decades old system of Police Training. Now the trainees are respected, trusted, and not forced and compelled for discipline, but trained to voluntary submission to rules and regulations. Rules have now been changed in favour of a paternal care and a respect-based relationship between the trainees and Faculty. A high premium is placed on values of integrity, honesty and morality. Stress rather endeavour by all means is the new training tool to produce professionally capable Police officers who are endowed with the noble traits of love with humanity, moderation and patriotism. Nothing is more important to the present Police leadership than the reforms and innovative initiatives in Police. All our efforts are now concentrated on catering for the needs of a trainee, the selection of a trainer and improving the learning environment in a training institution. Ample resources are now directed to the much ignored sector of Police Training and Education. The 21st Century has its own challenges, and the security paradigm has undergone drastic changes since 9/11. Throughout the world, the police forces are constrained to adapt and change according to the new challenges. The KP Police, undoubtedly, have plenty of laurels to their cap in terms of commitment, neutrality, professionalism, competence, sacrifices and innovative ways of crime prevention and scientific investigation. The PTC as the oldest and prime training institution of KP Police has rendered excellent services in imparting training and education to the police force since its establishment.